Newspaper reporter Charlotte Timberlake plans to write a book comparing past and present treatment for mental illness. She persuades a doctor to admit her to a state hospital as a patient. When unforeseen events make it impossible for her to leave, she finds herself unable to convince anyone – those in charge, her children, or ex-husband – she doesn't belong there. 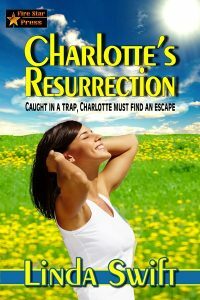 Charlotte soon realizes it is up to her to find a means of escaping the nightmare of her self-condemned prison.